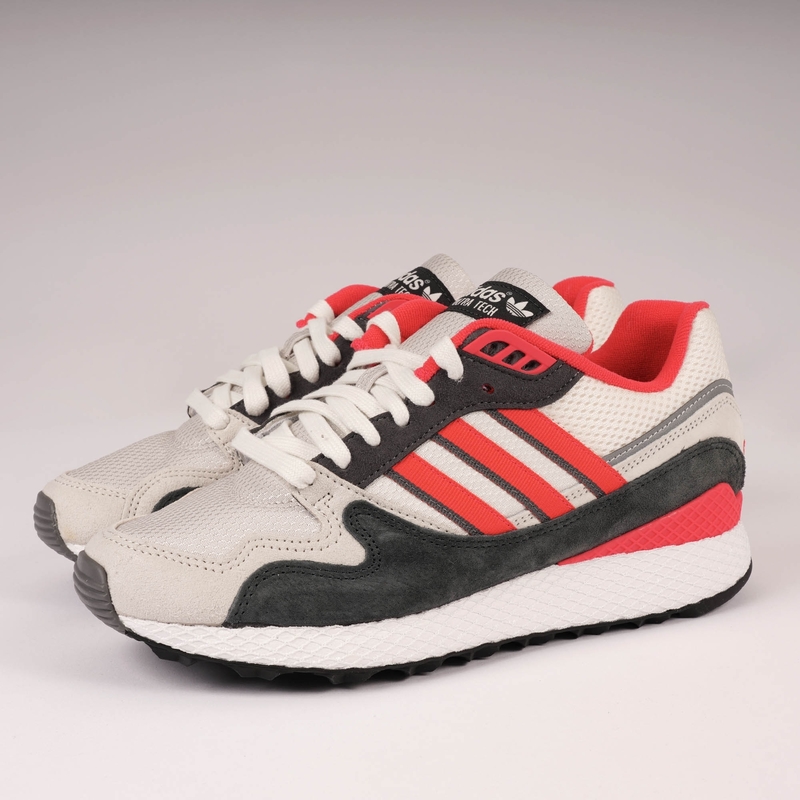 A standout feature from this seasons's adidas archive releases the Ultra Tech draws design inspiration from the Oregon Ultra Tech renowned for setting a new standard for performance shoes in the early 90's. Vibrant in a beige, shock red and grey four colourway the Ultra tech features a soft and responsive mesh and pigskin nubuck upper that sits upon a lightweight EVA midsole with distinctive web wrapping. Finished with adidas branding to the heel and tongue contrasting textile 3 stripes adorn both sidewalls whilst reflective detailing to the heel gives off a retro aesthetic.